Play Treasures of the Lamps at Fly Casino. 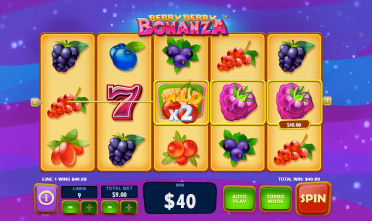 This very unique 5-reel, 20-payline slot features three gorgeous genies that will grant you wild wishes to provide you with a fantastic gaming experience. The Magic Lamp feature is a special feature that can randomly trigger during any spin of the reels. When triggered, genie lamp will issue you extra wilds, spreading wilds or resp-ins with locking wilds. 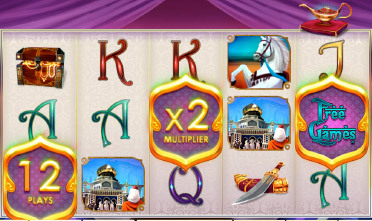 There’s also a Free Games feature where you can play with up to 30 free spins, a multiplier up to 5x and the genie wild features. The Stargazer Bonus feature sees you pick stars to win huge cash prizes. Have fun this week at Omni Casino! $133.00 BIG TUESDAY! From 00:00GMT until 23:59 GMT, all members on their deposit of $/£/€30 or more will receive a 133% bonus up to $133.00 bonus.